When we want an affordable summer bag, the first thing we do is head over to vintage-inspired California-based brand Dôen. But truth be told, we're usually inevitably disappointed, as chances are that its latest affordable straw bag is out of stock. With the popularity of basket bags these days, it's no wonder that the brand's affordable iterations are such a hot item—celebs like Alexa Chung and Jeanne Damas, and seemingly every street style star, are wearing basket bags everywhere and with just about anything as of late. Dôen's Phoebe Basket is so good that we'd gladly pay more than the $38 price tag (but we're not complaining), especially if it meant that it wouldn't sell out as quickly as it always does since its initial release several months ago. The structured mini bag, which features a lid and two handles, is the perfect match for the brand's effortless, breezy dresses, so keep scrolling to shop the Phoebe Basket (and a few of the aforementioned dresses) before it sells out again (trust us, it will). We'll be wearing this on repeat come summer. This design was inspired by Margaux Hemingway's 1970s-era wedding dress. Try layering this over jeans. This would make for a lovely swimsuit cover-up. 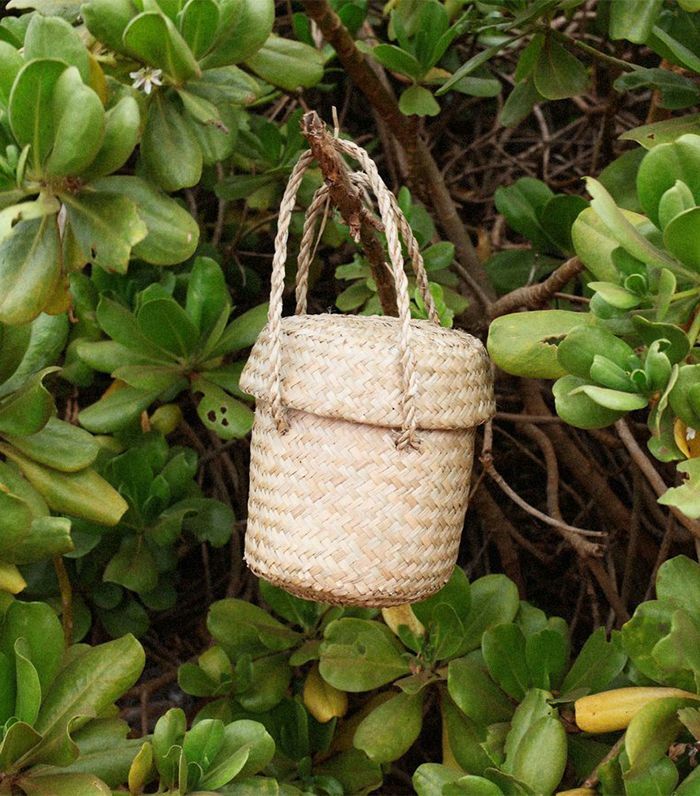 Next up, get more basket bag styling inspiration, and shop a few other iterations we love.